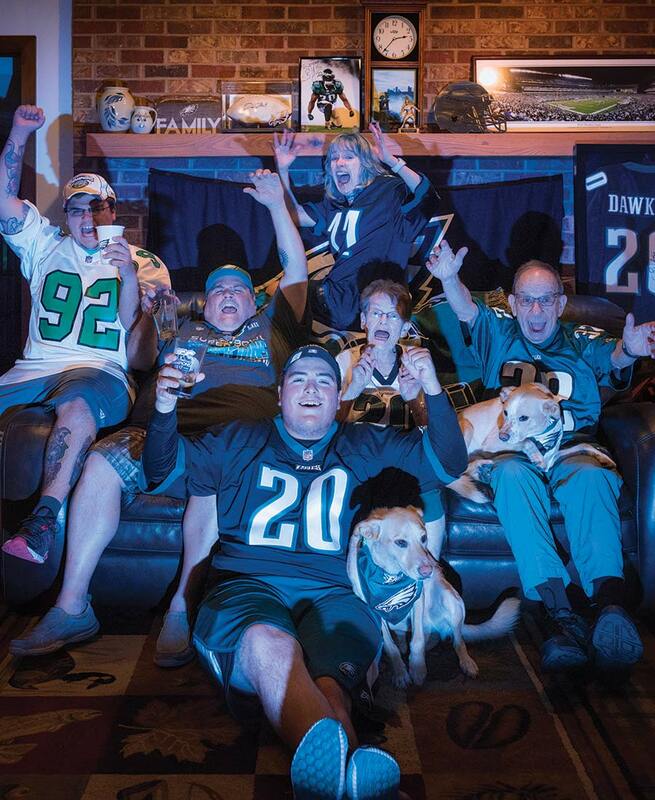 Does Your Brood Bleed as Green as This Three-Generation Eagles Family? This is the Del Fabbro family. If you don’t know them, you probably know a family just like them. Or, better yet, your family is just like them. Which is to say: Eagles-obsessed. Peggy Del Fabbro says it really started with her mother, 86-year-old Helen Davis. Helen was — is — a passionate all-around sports fan, but somewhere along the way, the Eagles rose to the top for her and her husband, Charles. When Peggy met her own husband, Adrian, they bonded over the Birds, then passed their passion along to their two sons, Zachary, 23, and Jeremy, 20.